In an effort to speed up wait times at its service centers, Tesla is eliminating regular annual service visits for its cars. Canada is planning on launching its first nationwide tax credit for electric cars. A new report estimates that by 2030, almost 70 percent of new cars sold in the U.S. may still use gasoline. And Faraday Future gets another, much smaller, lifeline. All this and more on Green Car Reports. Tesla is now recommending service "as needed" for its cars and plans to promote the native reliability of electric cars in its latest effort to cut wait times at its service centers. 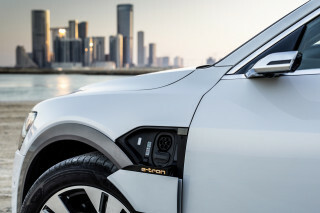 After earlier efforts to spur electric-car sales with tax credits north of the border proved effective, but sporadic, Canada plans to offer its first nationwide tax credit to spur sales of electric cars. A new study by consulting firm LMC Automotive forecasts that internal combustion cars will still make up about 70 percent of new car sales in the U.S. by 2030. 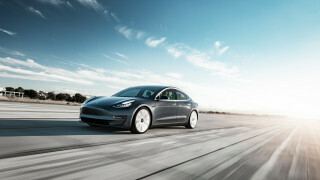 Only 30 percent will be electric. Many of those internal combustion cars, however, could be more efficient hybrids. 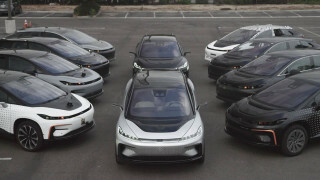 After building its first few production prototypes, then losing funding and seeking new investors, Faraday Future is getting a new cash injection from a Chinese video gaming company, and plans to build a new version of its FF91 electric car in China. Former Faraday Future employees have left to start their own electric-car company in Los Angeles, which announced Monday that it would change its name from Evelozcity to Canoo. It also released a teaser image of four new models it plans to build, starting in 2021. Finally, pulling over self-driving cars has been a challenge for police. Now Google's (Alphabet's) self-driving Waymo division is teaching police in California how the cars work, and how to get them to stop in an emergency.